Unrivalled support, allowing you to grow your business. Often your Web Hosting reliability is overlooked. Business owners invest significantly in website design, online marketing, content and successfully drive traffic to their site. Without reliable hosting, and a team that can back you up if something goes wrong, your investment can go to waste. With decades of experience, Amaze has the technology and the people that can deliver on high quality cloud hosting, email and support. As your website traffic and business grows, know that Amaze has invested in scalable cloud technology that can expand with you, and we promise not to talk tech constantly and bamboozle you with buzz words. They say there are no friends in business, but business is people. Relationships are built by people not machines talking to machines. We don’t treat your website like a number. 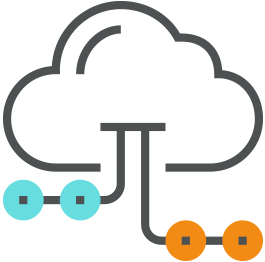 You’ll get access to a dedicated account manager – who we call Amazers, that you can call with free, unbiased advice on any cloud service that may benefit your business. World most trusted web hosting control panel. DDOS network protection included on all hosting. We’re Powered by OnAPP cloud hosting control panel. Partnered with Equinix for Data Centre Colocation.